Chaana Daal (Chaana Lentil): 1/4 Cup – Soaked in water for 4 -5 hours or overnight. 1. Boil 1 cup of beef keema with 1/4 cup of Chaana daal with the ginger-garlic paste, bayleaf, cardamom, cinnamon, salt, soy sauce. 2. When water dries out, blend the keema or minced meat without adding any water. 3. Then add the onion bereshta, chopped mint, chopped green chillies, egg and a little salt (if needed), mix well and shape them and deep fry at medium low flame. 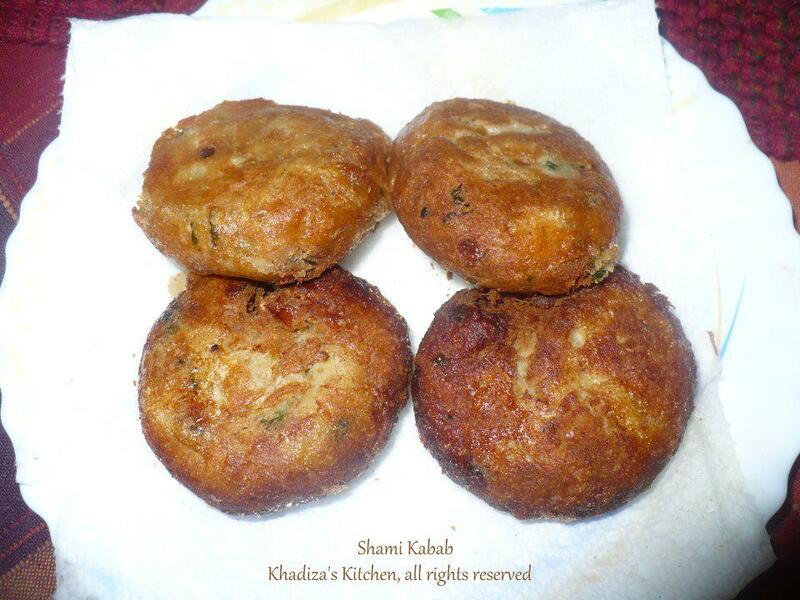 This entry was posted in Kabab / Kabob and tagged bANGLADESHI fOOD, Beef Kabab, Beef Kabob, Kabab, Kabob, Minced Beef Patty, Minced Meat, Minced Meat Recipe, Shammi Kabab. Bookmark the permalink. apu i dont have any food processor..can i blend it in a normal blender? ?